With two successful parents in the industry, Perry grew up playing on film and television sets her entire life. Now that she’s found her own success as an actor, she’s had the opportunity to appear alongside both her father, Jeff Perry, and mother, Laurie Metcalf, on several projects. 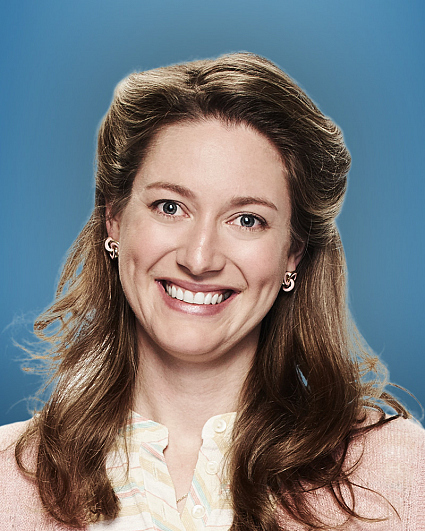 Her role in YOUNG SHELDON defines casting perfection as she portrays a younger version of Mary Cooper, a role her mother originated on THE BIG BANG THEORY. Previously, Zoe had recurring roles on the television series “Scandal” and “The Family,” and guest starred on “Grey’s Anatomy,” “Private Practice,” “My Boys,” “Conviction” and “Law & Order: Criminal Intent.” Also, Perry was a guest star on NCIS and “Cold Case,” on the Network. Earlier in her career, Zoe portrayed the younger version of Jackie on “Roseanne,” a role her mother made famous. Perry has an extensive theater background, including a recent production of “Anna Christie” at the Odyssey Theater alongside Jeff Perry and Kevin McKidd, “The Other Place” at the Manhattan Theater Club on Broadway, “Good Television” at the Atlantic Theater Company and “The Way West and Pot Mom” at Steppenwolf Theater. In addition, Perry appeared in “The Lieutenant of Inishmore” at Mark Taper Forum, “Peace in Our Time” and “The Autumn Garden” at the Antaeus Theater, where she is a member. Zoe is a graduate of Northwestern University and currently resides in Los Angeles. Her birthday is Sept. 26. Follow her on Twitter @zoejperry and Instagram @zoeperryveri.